As we all well known that China-Pakistan Economic Corridor (CPEC) will bring a lot of opportunities for Pakistan and auto sector. This in turn will benefit the transport warehousing and freight forwarding services by further expanding the auto and logistics sector of Pakistan. Over the years the automobile industry world-wide has become a true reflection of the economy, similarly Pakistan’s economic indicators are improving with the present peak of the automobile industry. The auto industry in Pakistan is currently entering a new phase in its development as many new players set their plants in Pakistan. 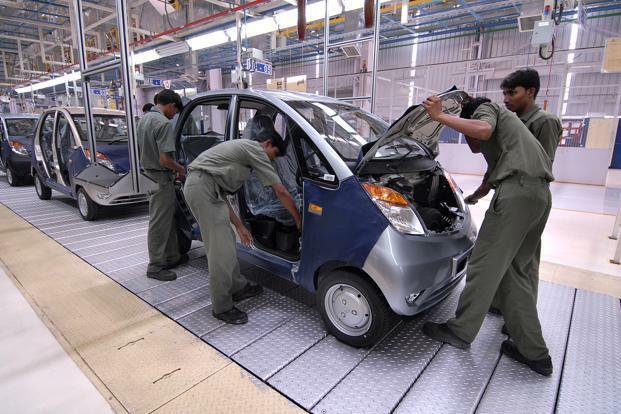 From a virtual stagnation for nearly 10 years, the automotive industry is finally coming of age, with volumes growing exponentially and demand for quality, price and prompt deliveries being the order of the day.Now the question is that how new team players will fill the huge gap of skilled persons for their new facilities. Staying organized in the workplace can save a company time and money. Organizational skills are essential for multitasking and keeping a business running smoothly and successfully. Employers aim to recruit applicants who can work to achieve results consistently, even when unforeseen delays or problems arise. Workers with strong organization skills are able to structure their schedule, boost productivity, and prioritize tasks that must be completed immediately versus those that can be postponed, delegated to another person, or eliminated altogether. In previous two years we saw in Pakistan Automotive industry peoples left their previous organization and move to join new team players with lot of attractive also business leaders are reacting in several standard ways: recruiting hard for the few candidates who are out there, offering higher pay and benefits to attract and retain them but no one from government either Automotive side to investing in learning and development programs to increase the skills of current employees. The skilled labor shortage is affecting companies not only in the Pakistan but all over the world. According to the latest Manpower “Talent Shortage Survey” 44% of employers across the globe report they cannot find the skills they need. The German Economic Institute recently calculated that the lack of skilled labor — estimated at 440,000 qualified workers — is costing the German economy 30 billion euros a year in GDP growth (0.9 percentage points to be exact). The problem of skill shortages has also to be resolved for reducing income inequalities. When the country has skill shortages those possessing the requisite skills are able to command high premiums on their earnings. These benefits widen income inequalities which, in turn, slow down the process of poverty reduction despite reasonable growth rates. To cop up this situation Pakistan Automotive OEM`s need to close liaison with the government for collaborative training programmes, there is less enthusiasm and willingness on the part of the government to realize their importance in relation to the opportunities arising from new developing industries of Automotive.